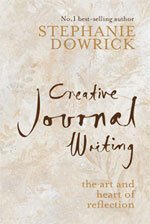 Stephanie Dowrick is the author of 14 books for adults - including Creative Journal Writing and In the Company of Rilke - and is co-host of The Universal Heart Book Club. She has also taught writing for many years, been a successful publisher, and is a life-long constant reader. 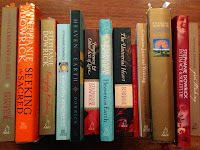 Here she discusses some of her favourite books on one of her favourite topics: writing. All my reading is "about" writing in one way or another. How could it not be? Writing is the means by which I "listen" and think most deeply. But sometimes my desire to read about writing becomes particularly explicit. In less than two months (24 October 2013) I am off with my lovely friend and travel companion, William Suganda, to teach on our gorgeous "Writing in Kyoto" workshop. And that's given me the perfect reason to think about which little trinity of books will stimulate discussions during some of our morning gatherings, and stimulate participants as they think about writing freshly as well as trying out what's new, or what is familiar in new ways. 100 novels as Jane Smiley's reference point, plus 20 years of her own writing! Writing novels [and I would say, writing any creative work that demands a naked self] is an essentially amateur activity. Professional readers and literary types have to be able to dispense with their professional side in order to engage in the amateurism required in the rough draft of a first novel. Ignorance, confusion, fear, and shame are the enemies of your novel, Desire and pleasure are its friends - the desire to communicate and the pleasure of contemplation. 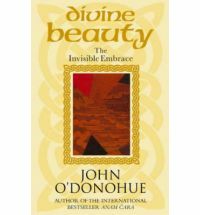 John O'Donohue's divine book, Divine Beauty, will be coming to Kyoto with us - again. I used it last year...and won over (I believe) every sceptic in the class. One of those former sceptics is returning to our workshop this year and I hesitated whether it was wise to re-use the same book. Would it be stimulating enough, I worried, without the bracing shock of the new that the discovery of such a writer allows. Then, surrendering once more in my own quiet room at home to O'Donohue's marvellous use of language, depth of thinking and writing power, I resolved that I would be doing myself and our entire group a disservice by not taking and using it. "Carried within the flow of time, you are coming to be who you are in every emerging moment. Life is a journey that fills out your identity and yet the true nature of a journey remains largely invisible." When people leave their familiar territory to come to a writing class far from home they give themselves a brilliant opportunity to see freshly. That is also so much of what authentic writing is about: moving beyond the banal and stale to discover what is emerging onto your page, bridging the no-space between our inner and outer worlds as well as the worlds of the writer and the reader. O'Donohue gets that. Gives that. 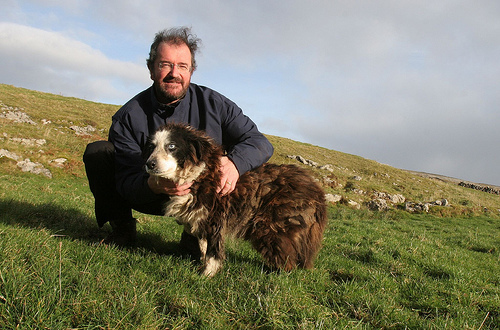 A master of "deep looking", I am again intending to be his willing disciple and apprentice. 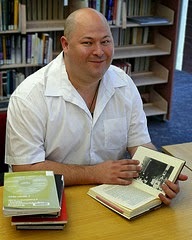 David Whyte, author of The Heart Aroused. As someone who spent years in the company of a visionary poet, and writing In the Company of Rilke, I respond with such gratitude to Whyte's confidence in the power of words that are sent into the world with soul - and a deep, hard-earned understanding of what that means and also allows. And it is not, either, as if he privileges poetry over "work" - even vast-corporate work. He's too smart for that. Both have their illuminations and varying shadows, he shows. Both have their hungers. And we have our hungers for them. To find our individual and collective place in the world as well as through the world is basic, surely, to our shared humanity. "Soul," Whyte writes, "has to do with the way a human being belongs to their world, their work, or their human community... It seems to me that human beings are always desperate to belong to something larger than themselves." It's poetry - and I certainly learned this from Rilke - that can "speak" that longing, liberating us while also affirming the power of that longing and of language. 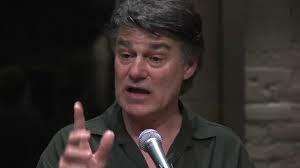 Whyte is also a powerful prose story-teller and his vignettes of memoir, together with his more analytic writing, exhibit within the covers of a single book just how flexible language can be. And how much one can learn about writing through careful, delighted reading. We will be looking closely, too, at least from time to time, at my own Creative Journal Writing, especially at the playful, liberating exercises that build fluency and a love of surprise. I'm cautious when it comes to teaching craft. I much prefer to offer ways to free people from any preconceptions about writing that are holding them back, or the kind of self-consciousness that can take pleasure away or send it into exile. The intrinsic, private pleasures of writing are always much more than half the story. They are also writing's most reliable rewards. Freeing oneself to see more deeply, to free all of one's senses (including a sense of time, place, purpose) and to write more freely are explicit or implicit goals for every writer, however new, however they have been long emerging. The kind of freedom that "journal writing"or "daily pages" bring is key to that. 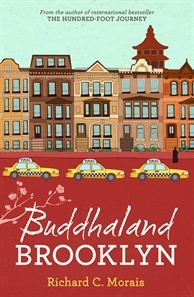 Finally, but not least, most of us will have read Richard Morais' recent novel, Buddhaland Brooklyn. This is a novel "about" Japan by a writer who isn't Japanese…so perhaps better to say it is "about" Eastern and Western cultural assumptions, of interest to all thoughtful writers. While it is not a grand novel - nor does it need to be - it is a wonderful work of imagination, full of colour and life and it both plays with and evokes a sense of Japan that will be a lovely counterpoint to participants' own experience of Kyoto 2013. "The word 'inspiration' is, of rooted in the Latin words meaning to breathe in and is closely related to aspire, expire, transpire, and spirit. At the same time that you breathe life into your work, you are breathing in the stimulus that enables you to do so." 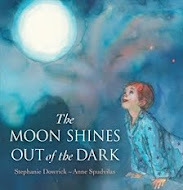 For more information about Kyoto or any other events with Stephanie Dowrick, visit "Events" on stephaniedowrick.com. Stephanie also leads an interfaith service each 3rd Sunday of the month at 3pm at Pitt Street (264) Uniting Church, Sydney. To leave a comment, please use the comments box below. It will say "no comments" until activated. You will have to wade past the "captcha" ordeal - saving us all from spammers. Two words: space between. use "anonymous" if no google mail address - should be easy. We love to hear from you! 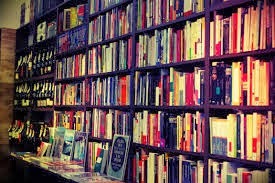 Finally, you are most welcome to use our bookshop links - above right. A snail's portion is returned to us on any such sales. Thank you Stephanie for these inspiring words and recommended books.